HiFashion is one whole year old! When we started this blog last year, we had no clue what we were doing. We thought it would just be a bit of fun, and had no idea how many friends we would make! This past year has been amazing and we really have met some wonderful people - in person as well as online. 1) We're doing a giveaway as a thank you to all our blogger friends! This one is not sponsored by anyone like others in the past have been. It's open to everyone, all around the world, and the winners will be picked at random - all you have to do is leave a comment on this post. There will be 2 winners... each of you will win one of these cute little Accessorize coin purses! We'll announce the winners next week. 2) We also made a special award for this occassion. This is our 'HiFashion Award' and we're giving it to the bloggers that have come into our lives and really made a difference. We are awarding it to all those that we consider great friends, even though many of them live a long way away. All you bloggers mean so much to us, and we're glad to have 'met' you all! Feel free to pass on the award on to any other bloggers that have inspired you or who consider a great friend. 3) Lastly, we are launching the HiFashion Closet today! Please check it out. The items that are labelled "new" are absolutely brand new and have never been worn. We are selling clothes that range in size from UK 6-14 (approx US 2-10). If this doesn't include you, we've also got shoes and accessories that may be of interest! If you have any questions or want better pictures of certain items, measurements, etc., don't hesitate to let us know. congrats congrats on the blog-iversary ahah and those coin purses are fab! Awww Happy Blog-day!!! It was great to meet you guys too, hopefully things will get less busy for me and we can meet up soon!! Congrats guys! I am quite new to blogging and you guys have made me very welcome! Love the coin purses and will check out the new site! Hooray! Congrats on the blogiversary ladies. =) You have such a wonderful blog. Happy blog-birthday ! Bon anniversaire à ton blog ! Heading to the Closet ASAP! All the best! And those purses are lovely! Thanks so much for the award, and congratulations on the blogaversary! You guys have been so great and such a help and inspiration to me, so thank you both and may there be many more years to come! Congrats! Here's to the next year (and so on, and so on, and so on, and Wayne's World). Aw thank you darlings! Happy Blogiversary! so exciting! Congratulations on the 1 year anniversary and the opening of HiFashion closet! Time seems to go so fast in cyberspace. Even though I haven't been following for the full year, I feel very glad to come across your blog as I love following your outfit posts and great great tips. I think I'll be using your long healthy hair tips for life! Congratulations ladies! It's so exciting that HiFashion is one year old today! Keep up the fantastic work and congrats again! Congratulations! One year goes by really fast, right? Love the coin purses - they are deliciously retro, in the best way ever! Mine is coming up too, and I'm SO EXCITED! Yay! Happy Blogiversery!!!! The coin purses are adorable, I love love the pink one. And congrats on the launch of HiFashion Closet; I'm off to check it out now! Congrats and I love the coin purses! 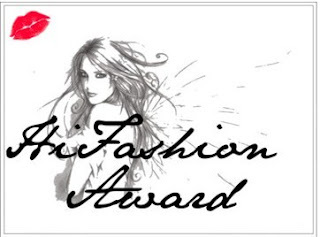 Congratulations to you and all the bloggers who won your HiFashion award! I'd love to enter the contest, woo hoo! congrats on hitting the one year mark! your blog is awesome and can't wait to check out your shop! Happy happy bday to your beautiful blog. Here's to another fabulous year!! Happy, Happy Blogiversary darlings! How exciting that HiFashion has hit its one year mark! And what a fabulous giveaway - I'm drooling over those coin purses; tres cute!! Happy Blogiversary, darlings, and congrats on the launch of your shop! Keep up the amazing work, L & S! And thank you so very much for honoring me with this lovely award! I am delighted! Happy blog birthday Leia and Sherin! You girls are so awesome. That's why you want to wait for Thursday to announce the Hifashion closet, it's a special day. Happy blogivarsary, and thank you for the award.I'm also glad to have 'met' you two lovely ladies as well! congrats on the blogaversary!! oooh the coin purses are so so cute! hey girls! how amazing one year! my one year anniversary is coming up febuary 3rd and im super excited about it! i was debating about having a giveaway too. also im so thrilled about this award! this is my most favorite yet because i really view u as good friends! it made my day! thank u so so so much! also those coin purses r very cute! i hope i win! Congrats! Those coin purses are so adorable. You have such wonderful Ideas! I will be sure to check out your closet! Oh and Leia I'm glad my comment made you smile! Every word was true! Happy Blogiversary!!!! Congrats girls you are amazing bloggers and you fully deserve your success. Here's to another year! Congrats on your blogaversary! I've been following your blog a few months ago and currently loving your outfits and other articles. Congrats on your blogiversary! You should both be so proud of all you have achieved here in such a short space of time!! happy blogiversary!!! thank you for the award. so sweet. :) i cannot WAIT to see the HiFashion Closet! Girls!!!! Congratulations!!!! you both have become such good blogger friends to me... thank you very much for the award!!! it's so pretty and it means so much to me ;)... I'm sorry I didn't answer before I'm very busy at work I can hardly check out the blogs updates... but here I am... thanks again!!!! congrats on the launch of the store! amazing!